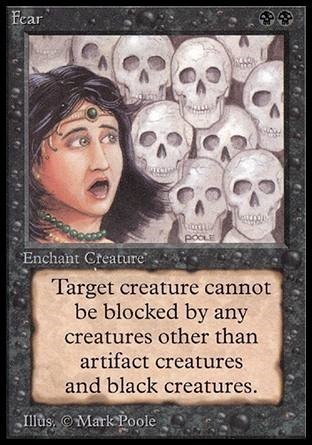 Any time a feature is introduced in an MTG set and not replicated in subsequent sets, balancing issues are surely forthcoming. 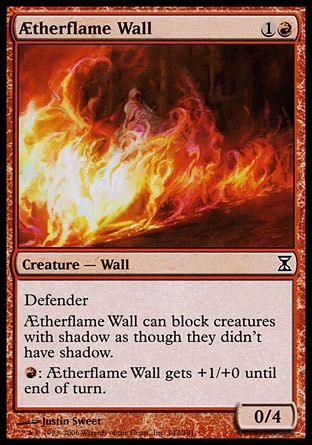 You wind up with one set that can do things the others can't, forcing players to counter that set with other cards from it, and generally limiting the creativity with which one can effectively play the game. 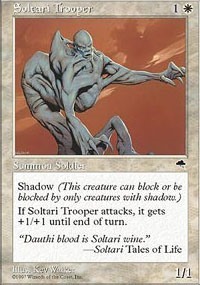 Playing these types of cards is like playing trap defense in hockey or boxing like Floyd Mayweather: you might win, but neither you, your opponents, nor the people watching will have much fun. 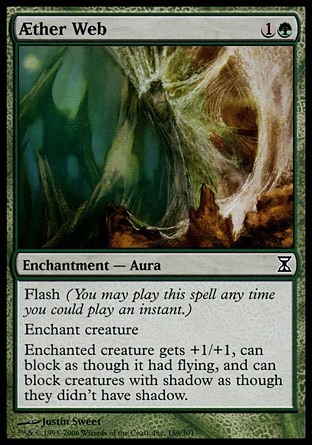 except you can keep doing it over and over on as many creatures as you want. 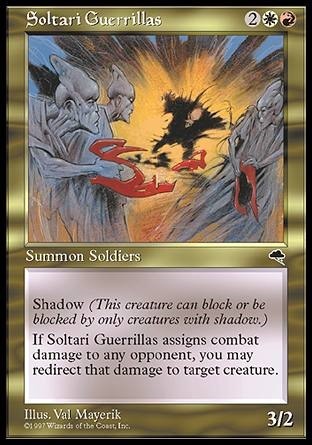 Since it only lasts until end of turn, you can even block with the guys you use it on or block other people's Shadow Creatures with your normal ones. 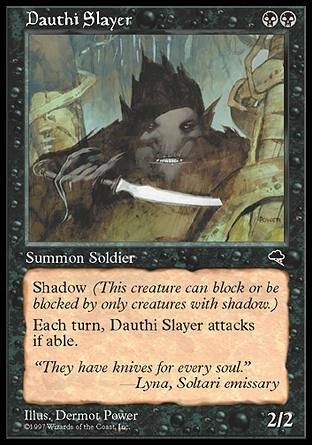 I made people give up MTG by stomping them with my Black Shadow deck prominently featuring the card. 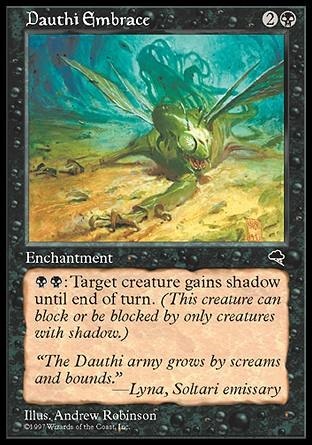 If you like your friends and want them to keep playing with you, and like the limitless creativity that has kept so many of us so deep in MTG for so long, don't force everyone to play with the same ten cards by using Shadow. Don't be that guy.